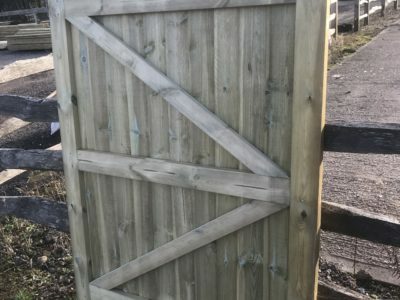 A great value framed, ledged and multi braced stop morticed gate. 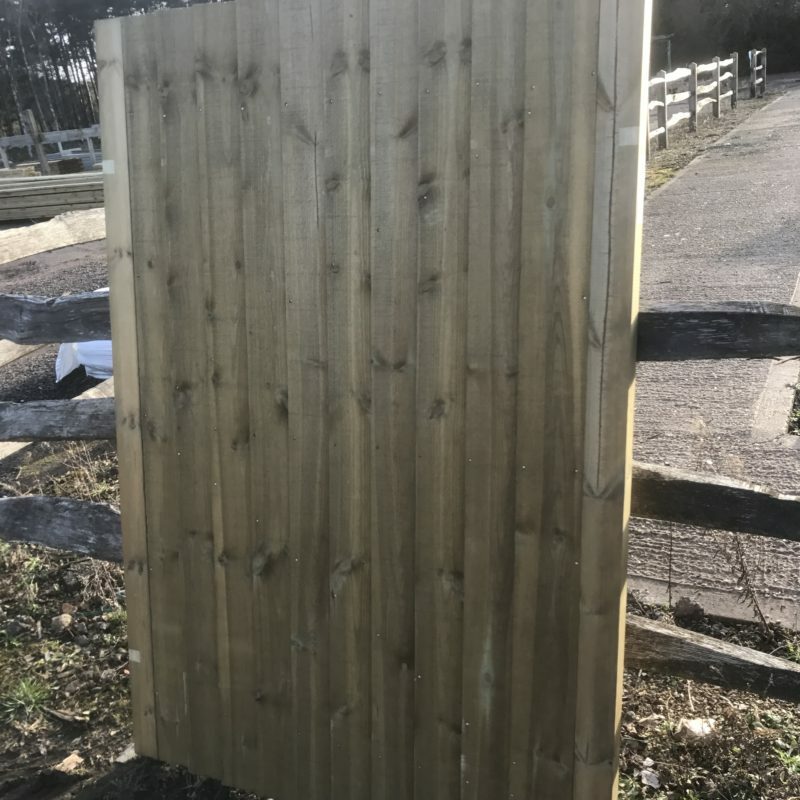 The Babington is available in 4′′ or 5” feather edge boarding which offers privacy and security and is supplied in pressure treated softwood for durability. Also available in a brown finish. 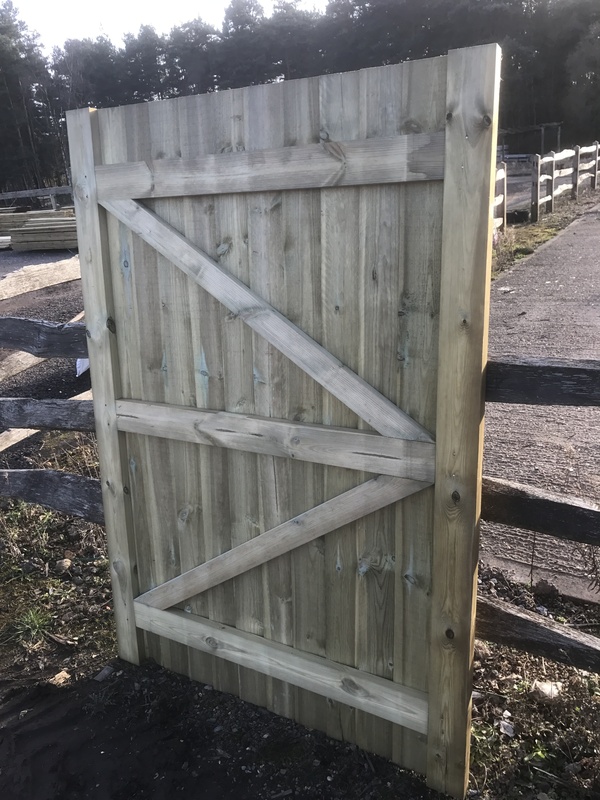 The Babington has a height of 1.76m with widths of 0.9m and 1.2m which are both held in stock.